You will be part of a team responsible for developing and providing advice and training in the use of technology to enhance learning. 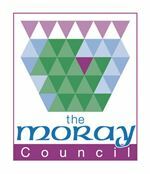 This service would cover Early Learning and Childcare centres, Primary schools, Secondary schools and Central Education Teams within Moray. This training and advice would cover all types of technologies that are currently used in schools and also technologies that schools may use in the future. This support will take place both remotely and face to face in our establishments. It will involve formal and informal training to both staff and pupils in a variety of settings across Moray. For further information please contact Vivienne Cross, Head of Schools & Curriculum Development, tel 01343 563411.